A controlled demolition called a "flood cut" minimized the tear out needed of the contaminated sheetrock in this Hillsborough office. Black Water from ground level intrusions carries in chemicals, pesticides, microorganisms, and debris and must be treated as a biohazard. 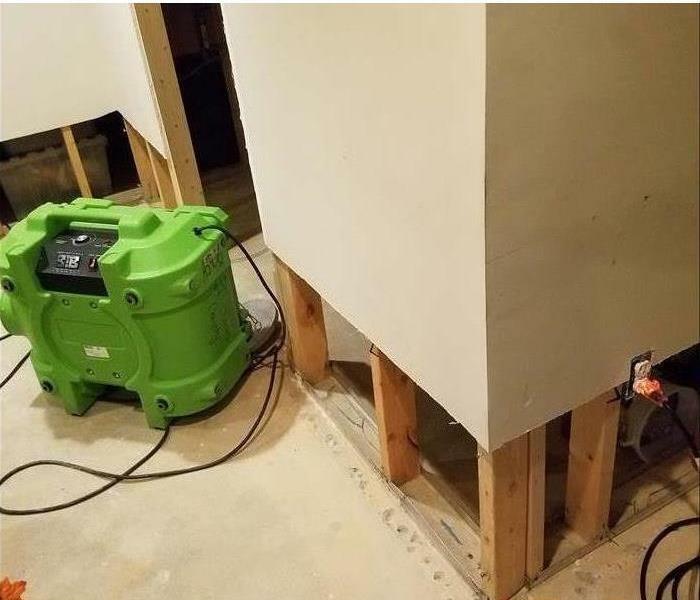 The wall cavities have been treated with an antimicrobial product as our SERVPRO equipment completes the task. 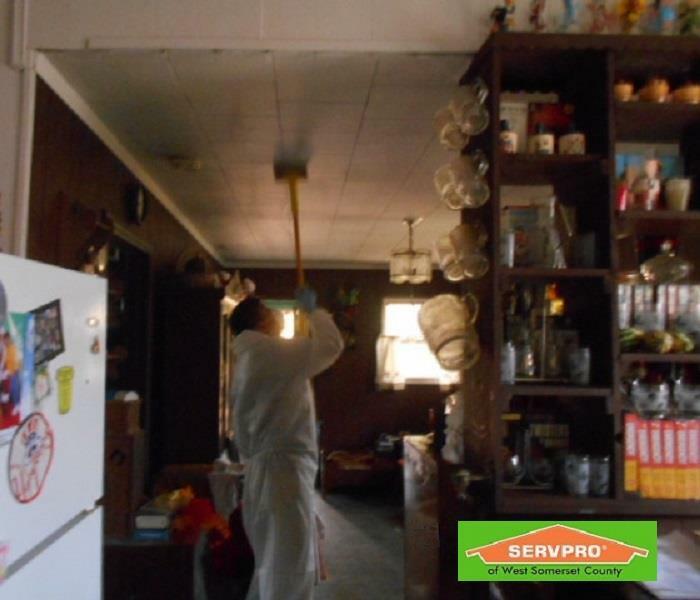 At SERVPRO of West Somerset County, our professionals are standing by 24/7 to respond to your storm damage emergency. We are IICRC certified in water restoration, carpet and upholstery cleaning, and other cleaning and restoration courses. Our technicians have the training, storm damage experience, and advanced equipment to restore your home in Bedminster to pre-damage condition. We’re Faster to Any Size Disaster! This house in Bound Brook, NJ, was vacant for an extended period of time. 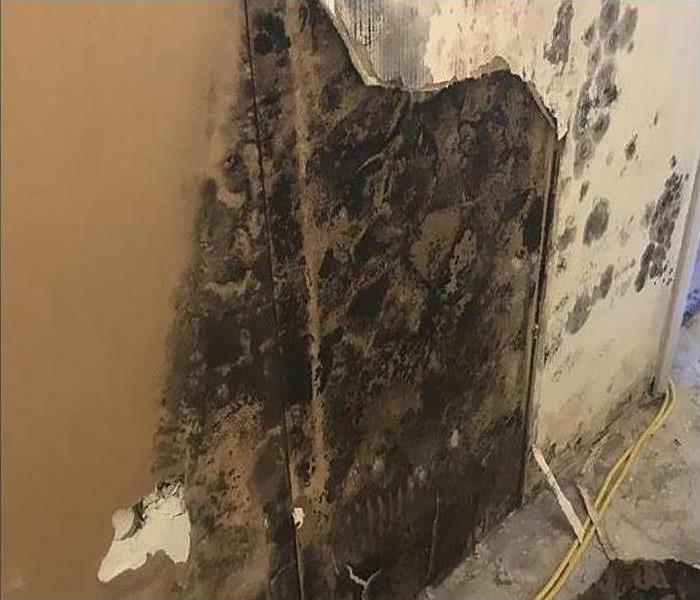 A radiator leak on the second floor went on for so long that much of the walls and floors were so wet they could not be saved. The water even soaked through to the outer walls, as shown in this picture. SERVPRO was able to save most of the structure for the rebuild. 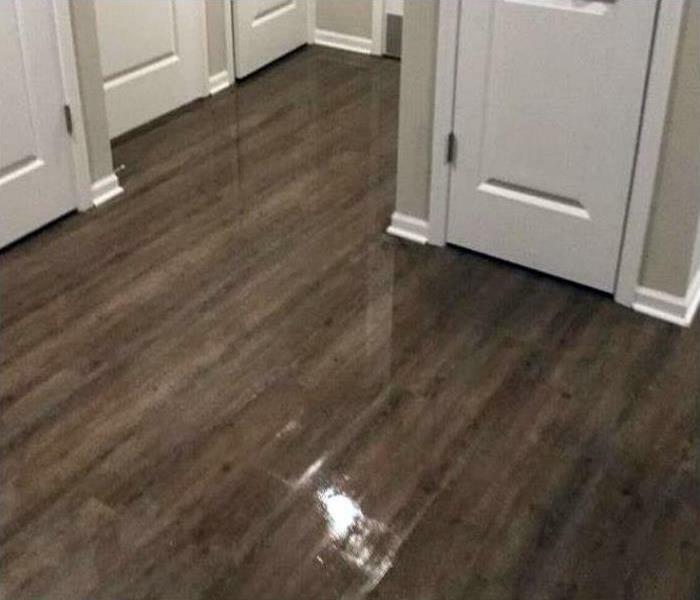 If you are going out of town or leaving a house vacant, it is a good idea to either have someone check in regularly or turn off the water to the property. When there is smoke damage in your house every surface is affected. Here we have crew chief Angel demonstrating one way we clean residue from an affected ceiling. 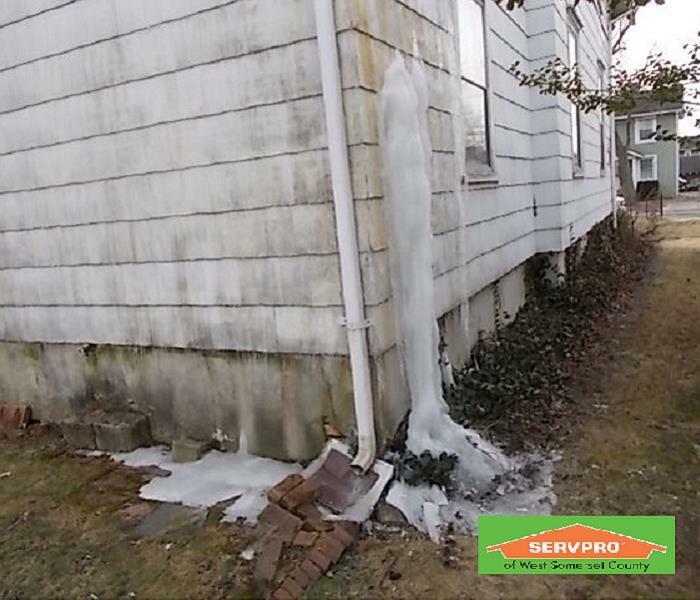 With SERVPRO of West Somerset County you can be sure we will do our best to restore your property in order to save you from the time and money of demolition. Production Technician Wilber at work during a deep cleaning of a basement – the owner thought it hadn’t been cleaned in thirty years! 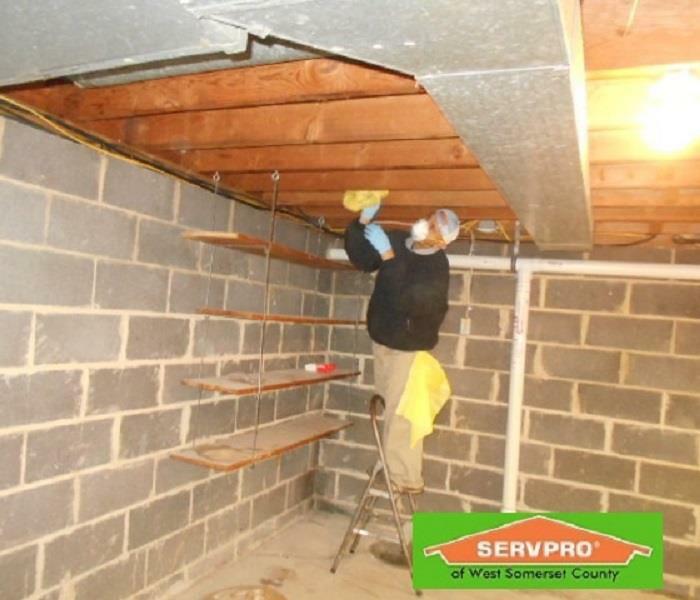 When you need to cut through years of dust or dirt, call SERVPRO of West Somerset County.